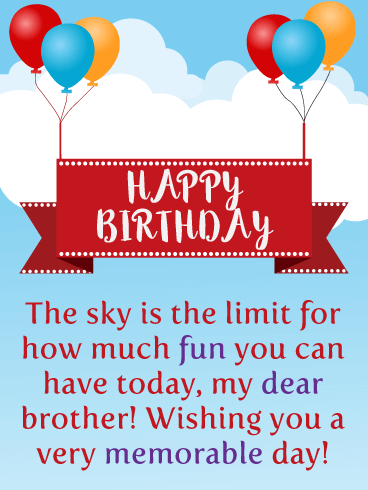 It's your brother's big day and what would be more appropriate than sending sparkling balloons his way! 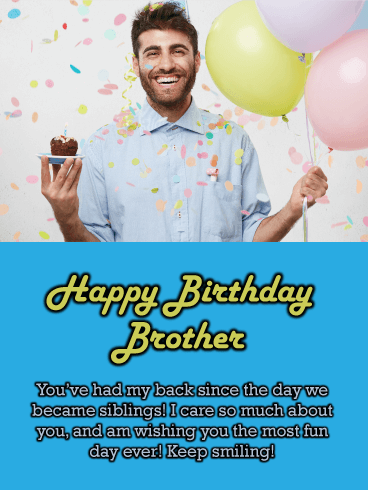 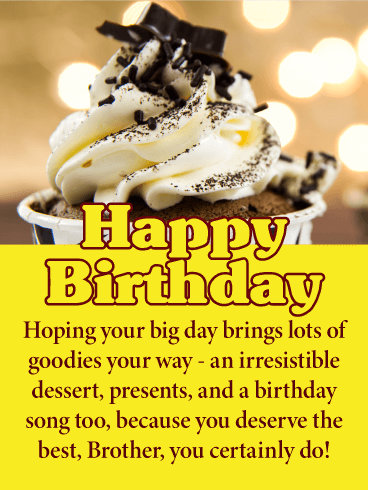 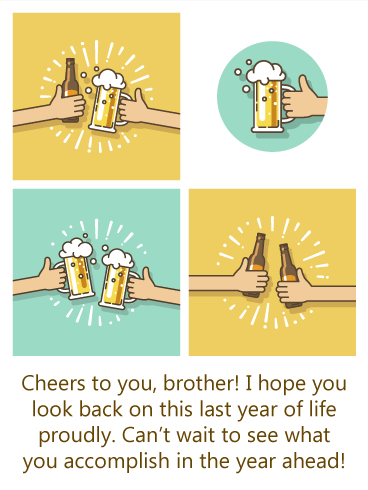 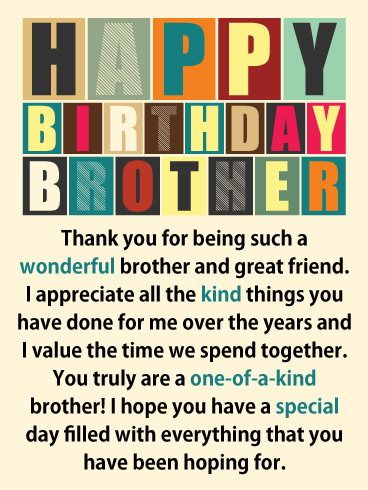 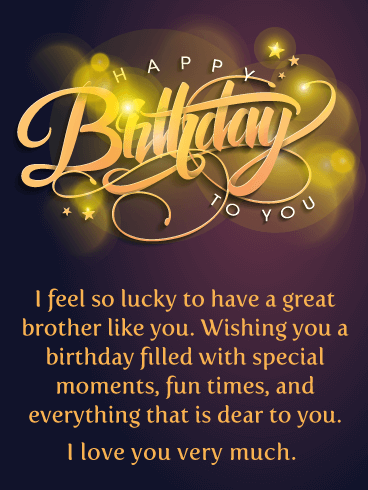 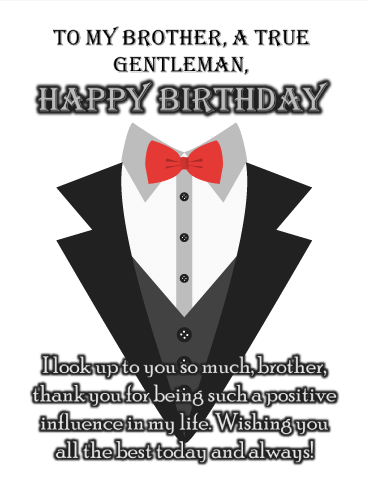 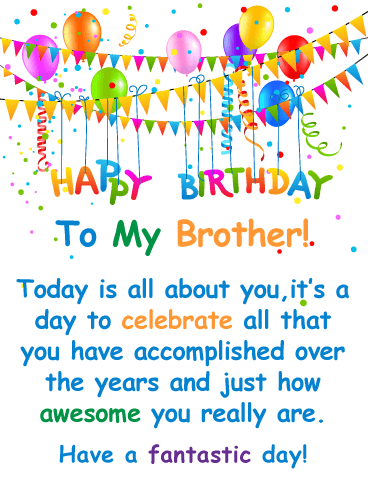 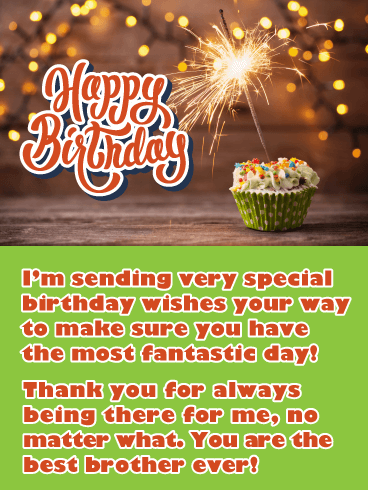 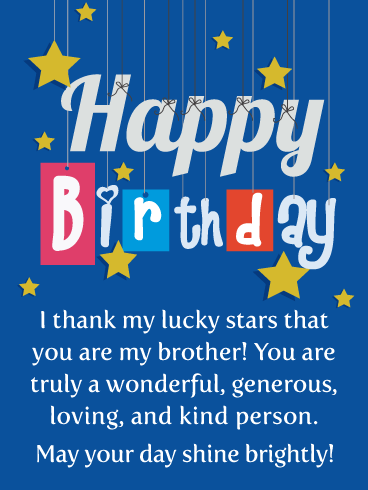 This awesome birthday card will not only get your brother excited about his special day, it will also touch his heart as he reads that your relationship with him means more than he will ever know and that he is a great brother. 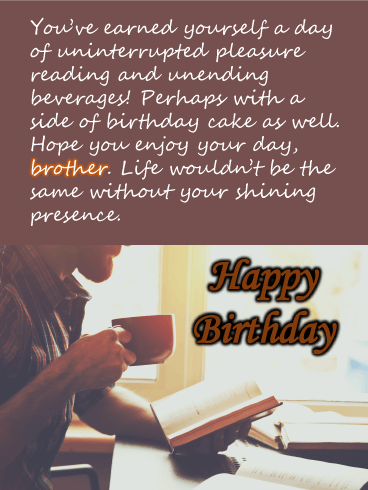 So let this birthday card add a little sparkle to his day so he can have a bright and happy birthday! 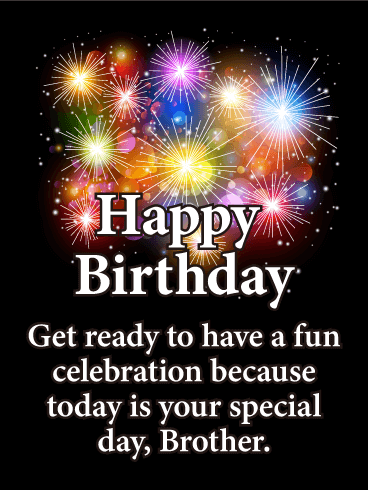 Birthdays are a perfect reminder that a new year is ahead of us, which can offer exciting possibilities! 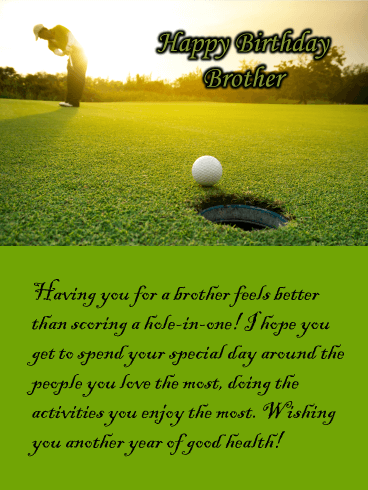 This inspiring birthday card will encourage your brother and add joy to his special day. 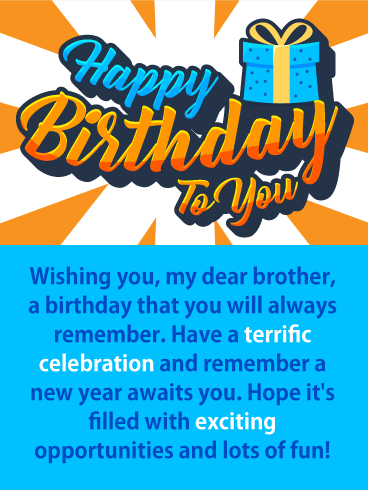 It displays bright colors of orange and blue that spell out Happy Birthday To You! 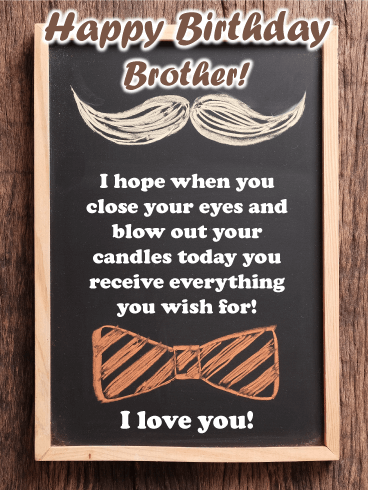 It also includes a gift box that will have him looking forward to the birthday presents he will receive on his special day. 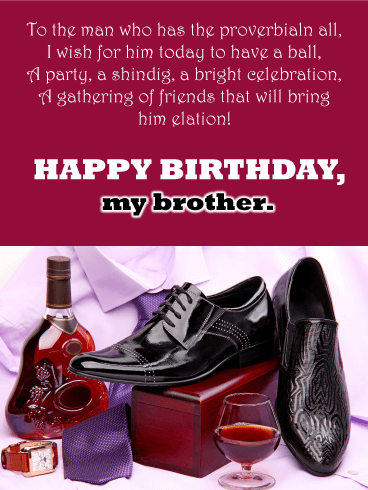 Wish your brother a terrific celebration with this exceptional birthday card! 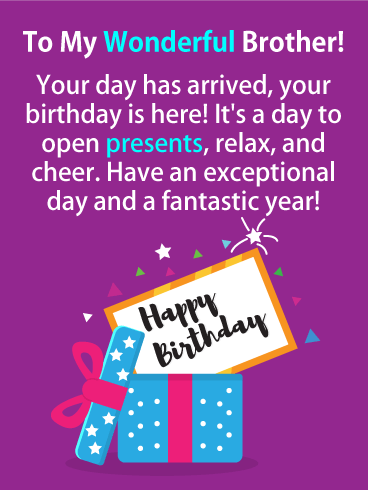 Whether they admit or not, everyone loves to receive presents on their birthday! 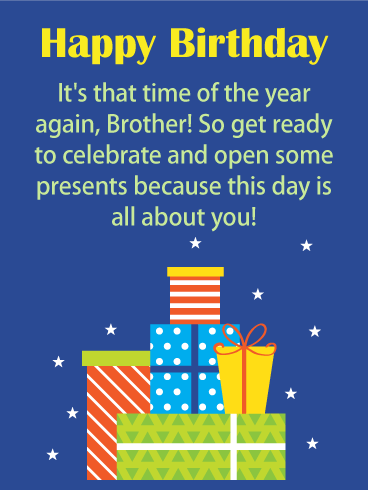 For some, opening gifts can be the most exciting part of their special day. 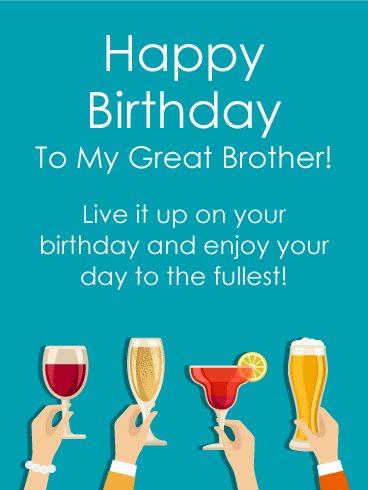 That's why your brother is going to love this birthday card that features a perfectly wrapped present. 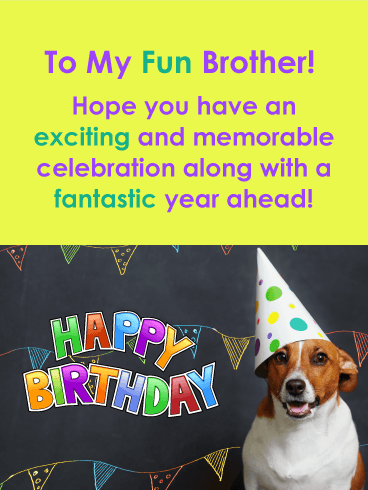 He will certainly look forward to unwrapping his gifts after seeing this exciting birthday card! 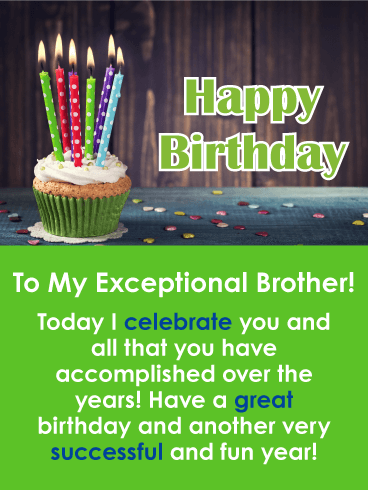 So let your brother know you are thinking of him today and wish him an exceptional day! 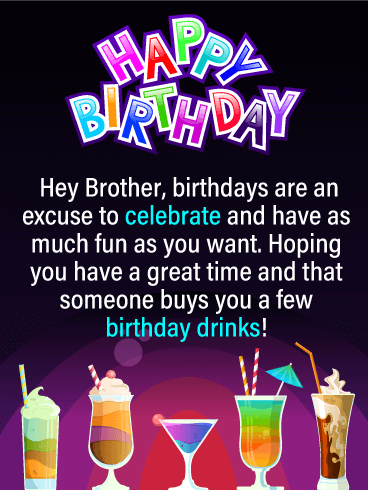 Exciting fireworks are displayed in honor of your brother's birthday and he will be thrilled to see them! 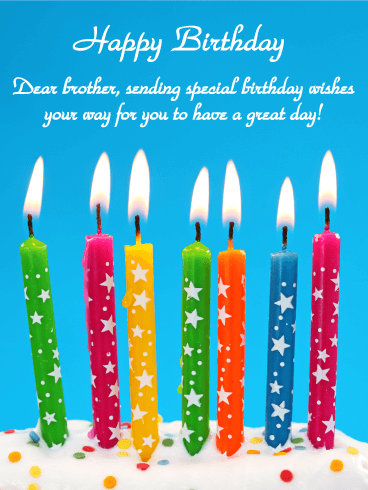 These colorful fireworks bursting in the air are what make this birthday card so special. 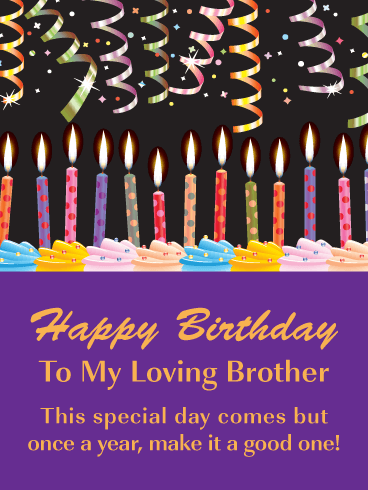 This birthday card expresses that your brother should get ready to celebrate because today is his big day! 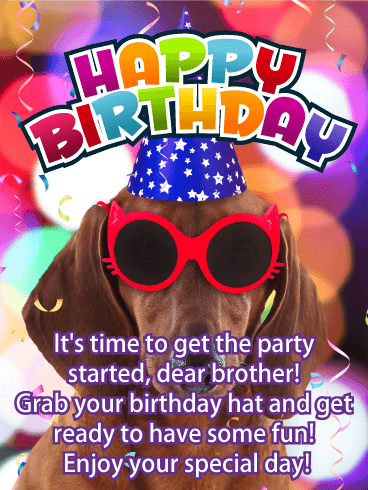 Get these fireworks over to your brother for his birthday so he can enjoy them on his special day! 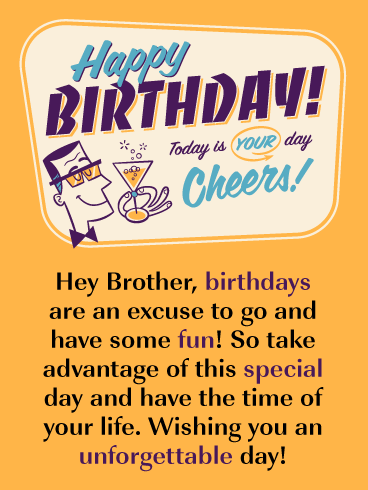 This super fun birthday card will add a shot of excitement to your brother's special day! 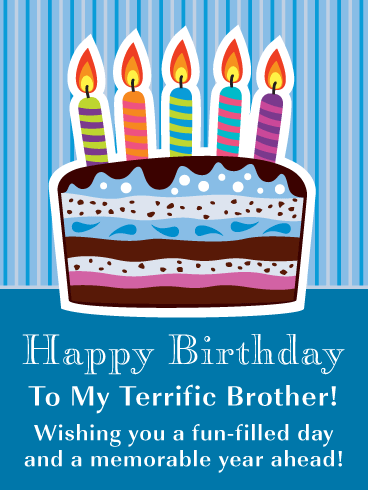 It's bursting with vibrant colors and large Happy Birthday lettering that he can't miss! 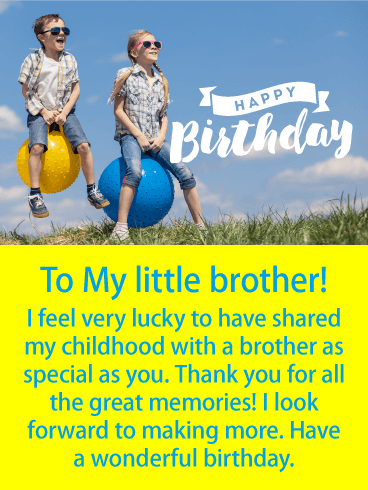 The message will put a smile on his face when he reads that you are thanking him for all the fun times and wonderful memories. 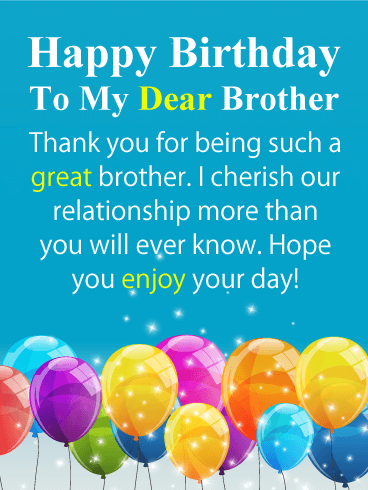 This will mean a lot to him coming from his brother or sister. 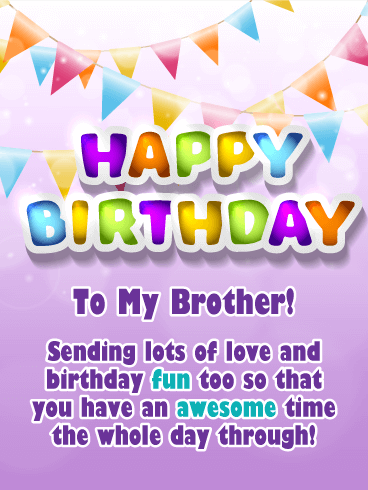 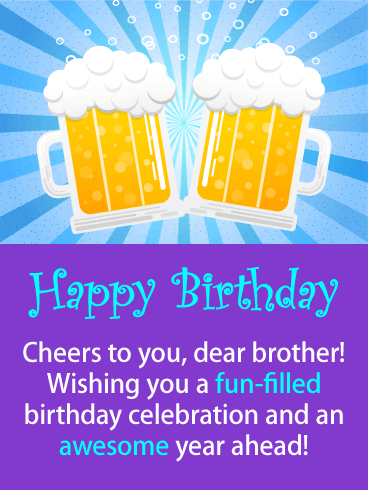 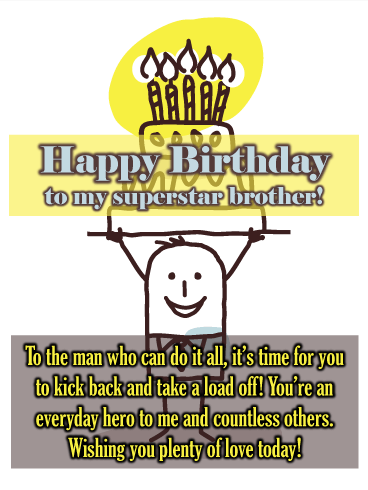 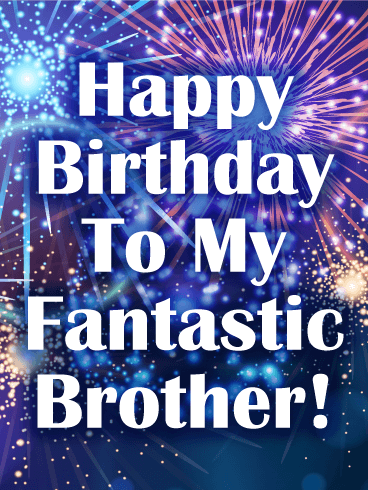 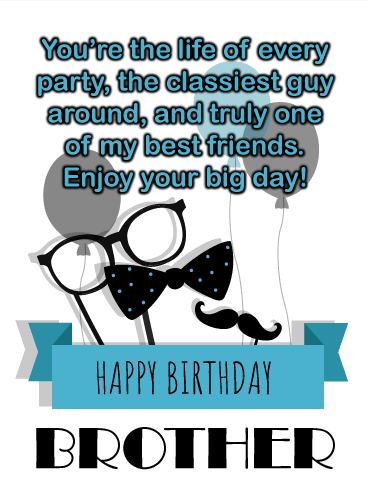 Send this fantastic birthday card to your brother to supercharge his big day! 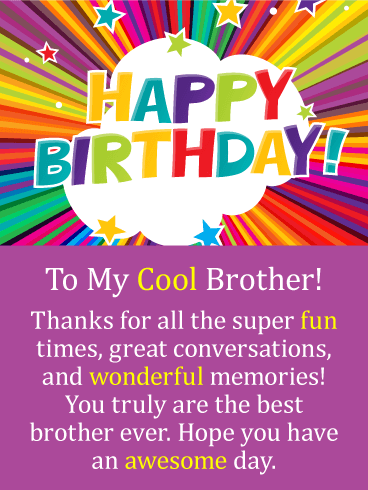 Little brothers are the best and worthy of a sensational birthday card such as this! 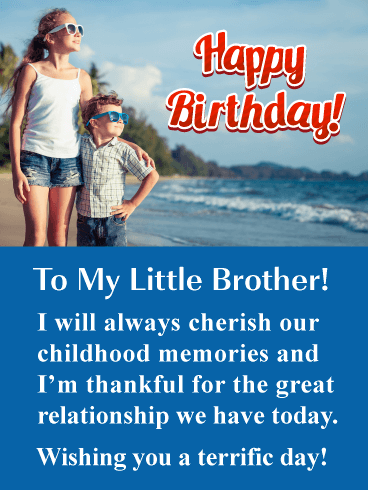 It features a brother and sister playing and having fun! 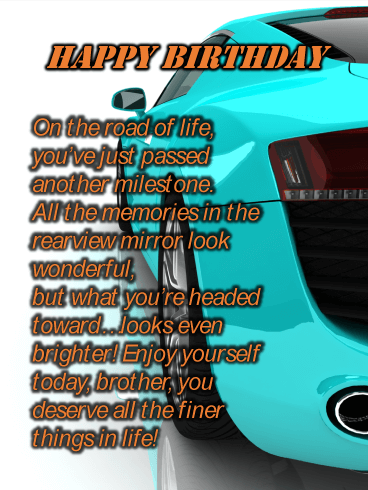 Your brother will recall fond memories after seeing this meaningful birthday card. 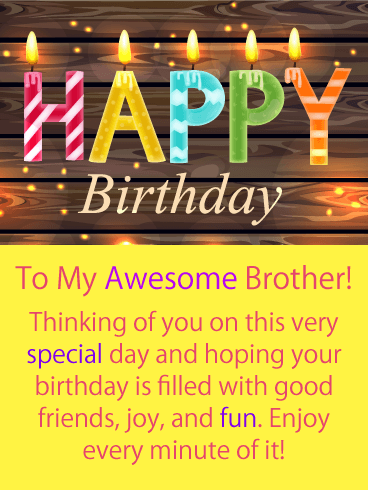 He will be touched that you feel lucky to have him. 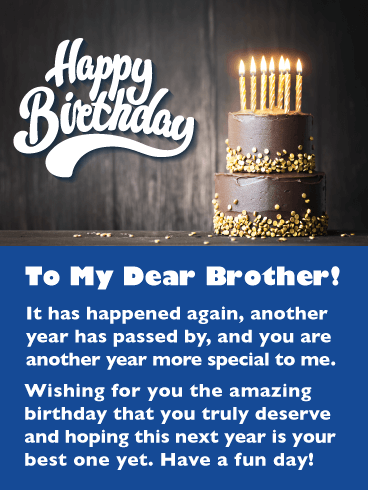 Such a great thing for a brother to read on his special day. 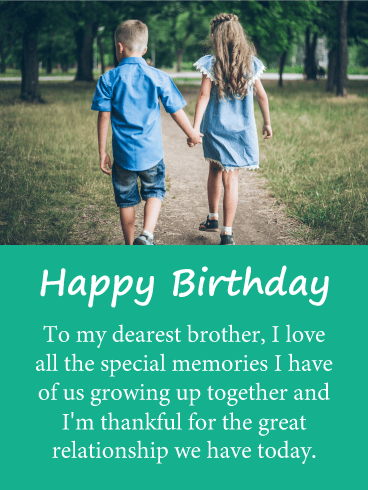 Send this lovely birthday card to your brother so he can start his day with a smile.